Primary Health Networks were established in 2015 to reform the primary health-care system and better coordinate care across Australia. A range of services make up the primary care system in Australia. These include private general practices, community health centres within hospitals, and Aboriginal community-controlled health services. There are 31 primary health network boundaries across Australia, managed by a local board and funded by the Australian government. A core focus for primary health networks is to understand the health-care needs of their communities, identify service gaps and focus on patients at risk of poor health outcomes. Among the priority patient groups are Aboriginal peoples and Torres Strait Islanders. Recently, funding to primary health networks for ice and mental health programs was announced. This came with the expectation that primary health networks will work closely with Aboriginal community-controlled health services “to make sure we get those Indigenous treatment services right”, according to the minister for rural health. The new Health Care Home trials will also involve Aboriginal health services. This requires primary health networks to collaborate with these services to build relevant patient health-care pathways. How can primary health networks work closely with these services? What are Aboriginal community-controlled health services? Aboriginal community-controlled health services are authorities on primary health care and do much more than just deliver clinical services. First established in 1971 and now numbering 150, they connect with disadvantaged community members, strengthen the resilience of the community and provide culturally appropriate comprehensive care. Importantly, they foster the participation of Aboriginal communities in their own primary health care. Aboriginal people have the poorest access to primary health care, shown by their high rate of potentially preventable hospitalisations. This statistic measures the rate of hospitalisation for health conditions that could have been prevented if primary health care was accessible and appropriate. Nationally, Aboriginal and Torres Strait Islanders in remote locations have seven times the rate of potentially preventable hospitalisations compared to non-Indigenous Australians. If primary health networks are intent on reducing the high rate of preventable hospitalisations in their region, their attention must turn to forming partnerships with Aboriginal community-controlled health services. 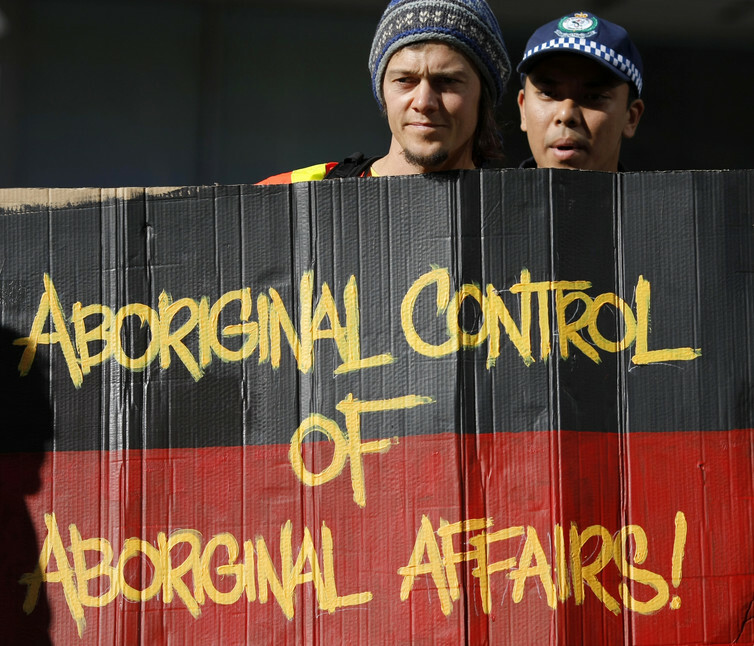 Aboriginal community engagement has too often been an afterthought in aid of ticking a box. It has ranged from Aboriginal people merely being informed of what is happening to them, to being partners, to being entirely in control of programs. To rebuild our primary health-care system to better respond to Aboriginal and Torres Strait Islander people, primary health networks need to do a few things. First, they should make a commitment to collaborate with Aboriginal community-controlled health services and establish a specific Aboriginal and Torres Strait Islander steering committee. This way they will be more able to focus on the right Aboriginal health priorities and improve health outcomes. Formalised partnerships with Aboriginal community-controlled health services have been shown to reverse the increasing trend in Aboriginal hospital emergency department attendances. Primary health networks need to help all services within their boundary to identify what health-care processes need to improve, help them improve the quality of care and help them monitor their performance, just like Aboriginal community-controlled health services do. Strategic plans developed by primary health networks should be endorsed by representative Aboriginal bodies to show that the right service gaps are being addressed. Multiple service providers (especially visiting in remote areas) can be ineffective, inefficient and undermine local efforts. Regional Aboriginal health networks need to be supported to deliver services. Innovative workforce substitution also needs attention in remote areas, such as more Aboriginal health workers, nurse practitioners and physician assistants. The cultural competence of all services needs to be improved, which includes expanding the Aboriginal workforce. Mechanisms are already in place to increase Aboriginal control over certain remote government health services to improve Aboriginal people’s access to health care. Primary health networks should be aware of these transitional arrangements, align with these plans and make purchasing arrangements with existing Aboriginal community-controlled health services in their region wherever possible. we go to bed with these people and we wake up with them on top of us. Good intentions need to be followed up so that policymakers and the community can monitor the level and type of engagement. Primary health networks need to establish proper partnerships that allow the Aboriginal and Torres Strait Islander community to play an active part in their own health care. It leads to much better programs.